For mountain bikers who wish to have trails right at their doorstep, overnight accommodations are available at Vallåsens Värdshus. This is also base camp for Ridge Cycling and the start & finish point for most of our MTB and Road biking tours. The hotel is a member of STF /Danhostel /Hostelling International. You can stay hostel style and self-cater your meals, or with breakfast and dinner included (not available every day). Please contact Vallåsens Värdshus bookings with your request. 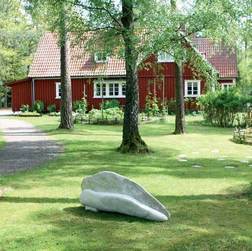 Perfect for road bikers we offer a rental house located in Båstad. 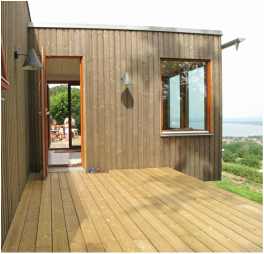 It's a compact and modern house designed for up to 4 people. Perched high up on the hill overlooking the ocean and tree tops, it serves as the perfect base camp for road bikers looking to set up for a weekend or week of training/cycling. Customized road biking tours or training camps can be arranged with this accommodation alternative, or you can just rent the house. More about the house here. 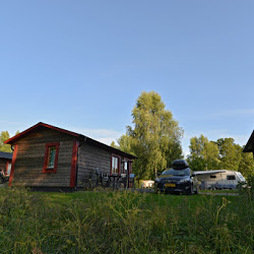 Våxtorps Camping & Stugby is a good budget option if you wish to pitch a tent or rent a basic self-catered cabin. Location is only a few kilometers from our starting point at Vallåsens Värdshus. ​Contact the camping to book.